Give this beautiful, rustic tart a try! The combination of goat cheese, bacon, and peppers will be sure to please. Topping it with an arugula salad dressed with fresh ingredients helps elevate this dish. 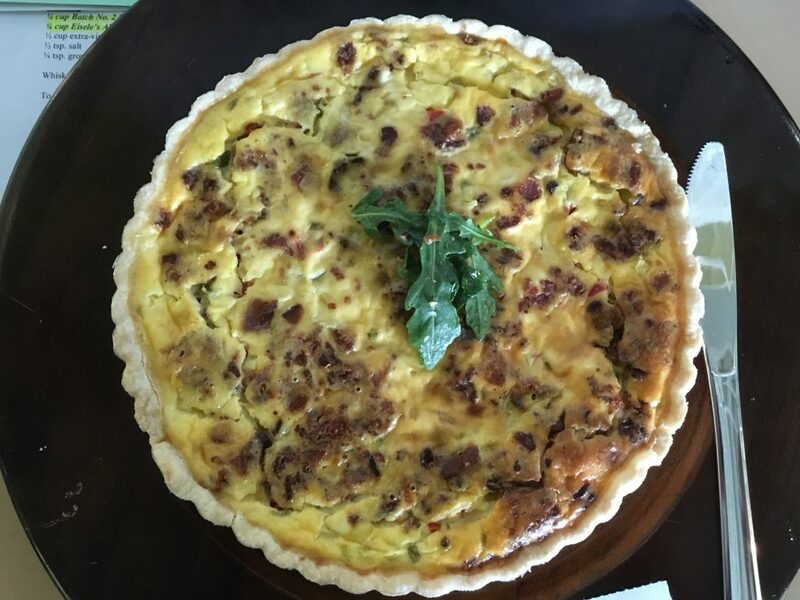 This tart would be a hit served for breakfast, lunch or dinner! Heat oven to 350 °F. For filling, combine goat cheese, eggs and sour cream; beat until smooth. Fold in remaining ingredients and pour into a crust-lined 7” tart pan. Bake on bottom rack for 50 minutes until lightly browned. Whisk together dressing ingredients; set aside. To serve, top each tart slice with dressed salad. Makes 6 to 8 servings.